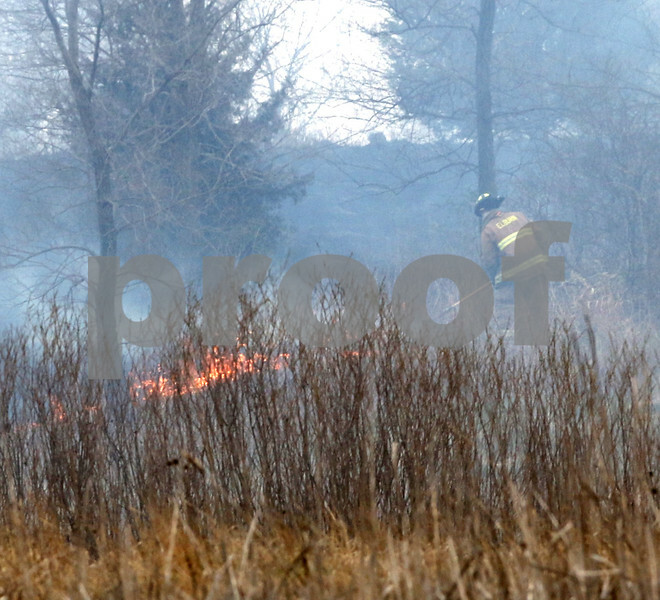 A firefighters from the Elburn Fire Department puts out some flames in a brush fire near Peace Rd. and Fairway Dr. in DeKalb Tuesday. Firefighters from several departments responded to the blaze near I-88.